Last weekend my girlfriend and me visited the Spring 2010 Collectors’ Convention in Utrecht, the Netherlands (a.k.a. Verzamelaarsjaarbeurs). It’s arguably the biggest collectors convention of the Benelux countries and is held twice a year. One of the many halls occupied by this convention is dedicated to vintage toys and is a real treat to peruse. This was my second visit to the Verzamelaarsjaarbeurs and I walked away with lots of goodies for a relatively low sum. I have already spent way more on my vintage toy collection this month than I had planned to, so I went in with a modest budget. I was pleased to have walked away with a very nice haul. So what did I get? 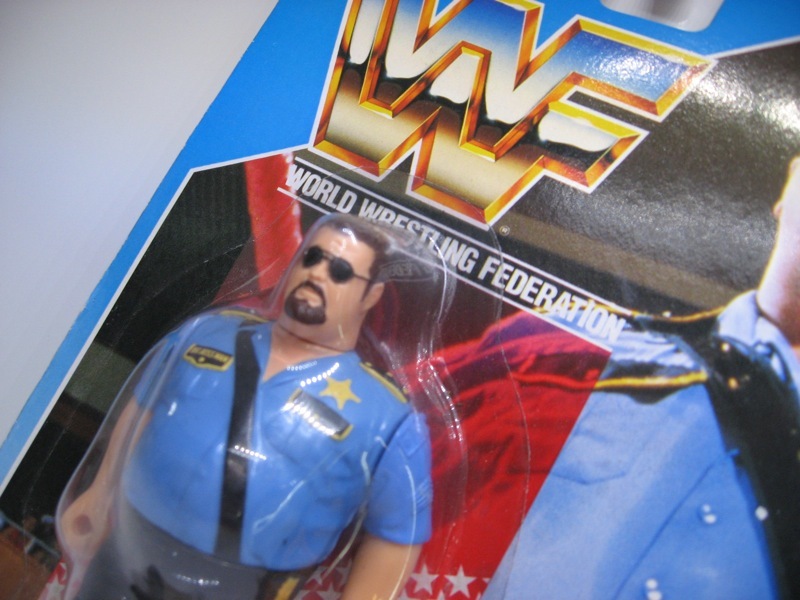 Well, I managed to expand my Hasbro WWF action figure collection with 2 new action figures, being Yokozuna and the Big Boss Man! 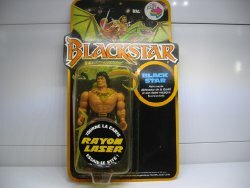 I also got a MISB (mint-in-sealed-box) Skullwalker for my BraveStarr collection, a Blackstar action figure, a Mr. 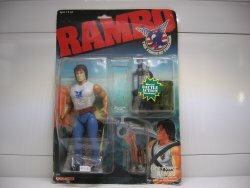 Freeze action figure from the Batman: Animated Series toy line and a Rambo action figure! I got most of this stuff dirt cheap, which is really nice. Besides all the action figures, I also got myself a big stack of European comic strips; a host of Robert & Bertrand strips from Belgian master Willy Vandersteen and a couple of Paling & Ko strips (Dutch translations of the Spanish Mortadelo y Filemon strip by Francisco Ibanez). All in all a very nice haul. Stay tuned for more photographs, because I added lots of Transformers to my collection this month!! I took the afternoon off from work and went to Space Oddity in Amsterdam, one of the very few brick-and-mortar action figure toy stores in the Netherlands. I left with 2 bags bags full of goodies. One of them contained a MOSC (mint-on-sealed-card) WWF Rowdy Roddy Piper action figure. 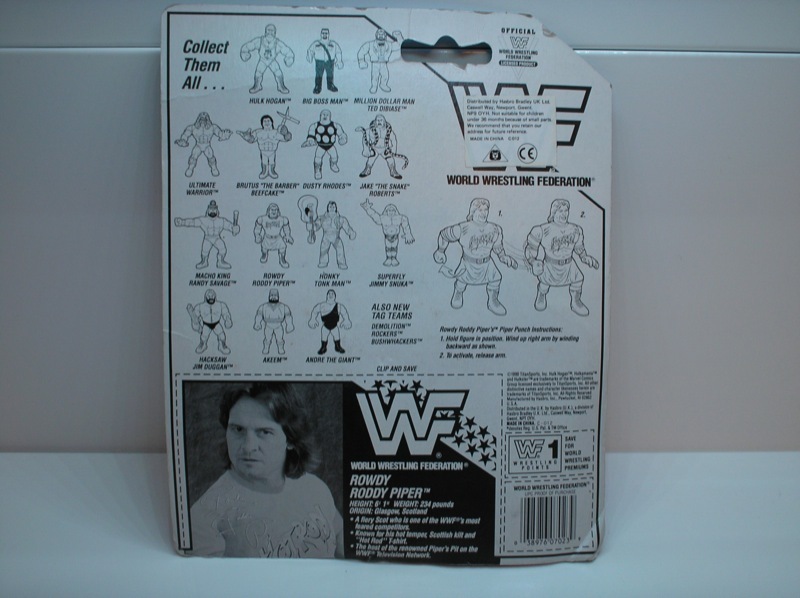 I went inside intent on picking up some vintage Star Wars stuff (which I did), but then I started looking around and found a bunch of WWF action figures from Hasbro, including Roddy! 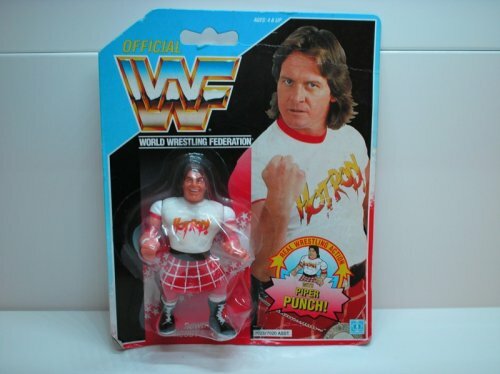 Roddy was just 7.50 euros, so there was no good reason I could think of not to buy him. The bubble is still firmly attached to the backing card and although there are some minor creases on the card, it still looks fantastic as does the action figure itself. 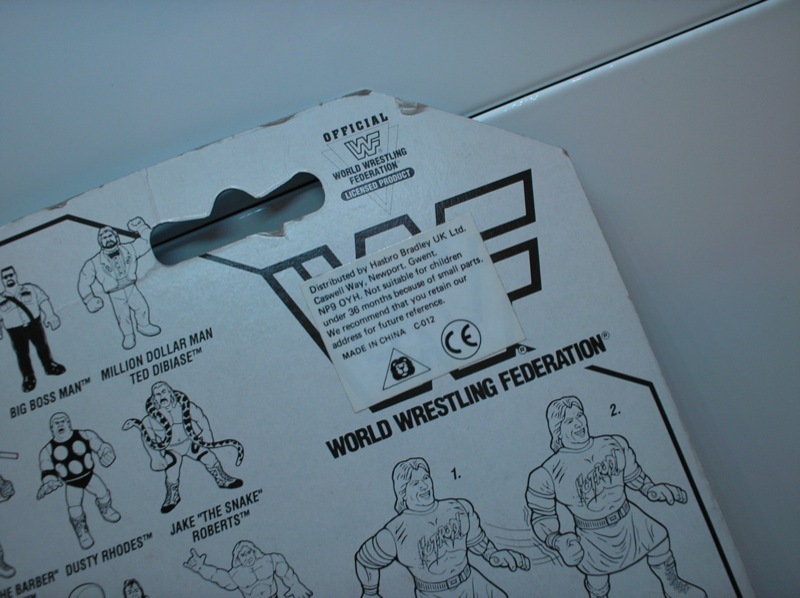 Looking at the back of the card we can see the range of WWF action figures that were available at the time Rowdy Roddie was released. Million Dollar Man Ted Dibiase, Andre the Giant, Brutus “The Barber” Beefcake, Hulk Hogan, Big Boss Man, Hacksaw Jim Duggan, Honky Tonk Man, Jake “The Snake” Roberts to name but a few. 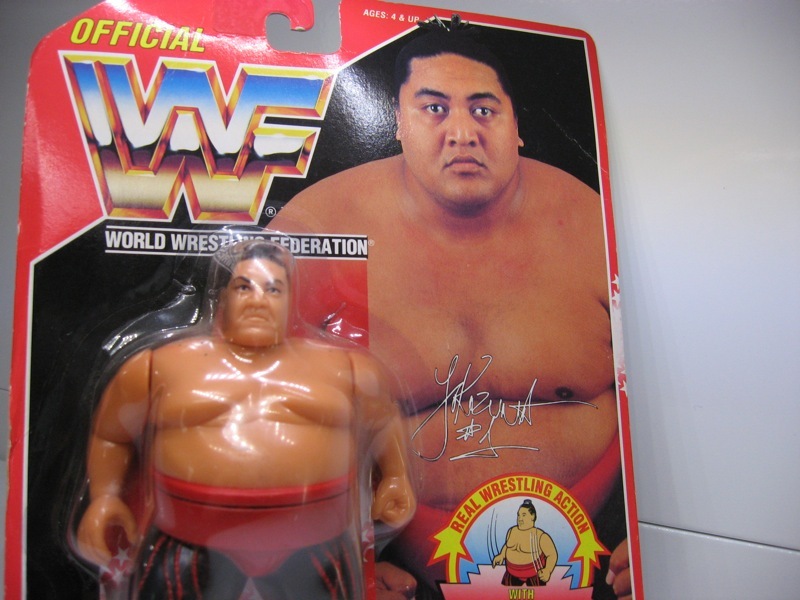 Damn, I remember fondly watching these wrestling “superstars” in the 1980′s on Sky Channel when I was a little kid. The old school WWF logo really takes me back. 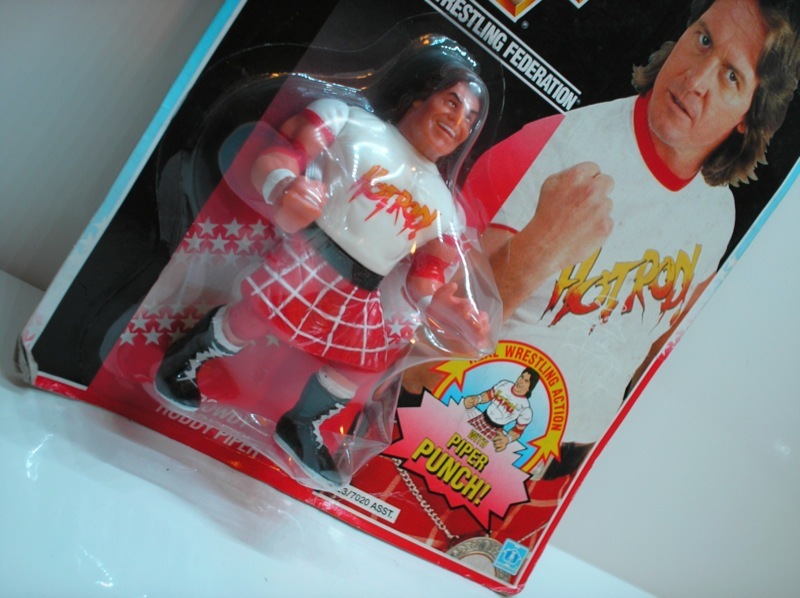 Hasbro took over the WWF license in 1990 and Rowdy Roddy Piper is part of the 2nd series of WWF action figures, released in 1991. Hasbro went on to release a total of 11 series of WWF action figures until they lost their license in 1994. All figures have a cartoony look to them and they all had some sort of signature move. 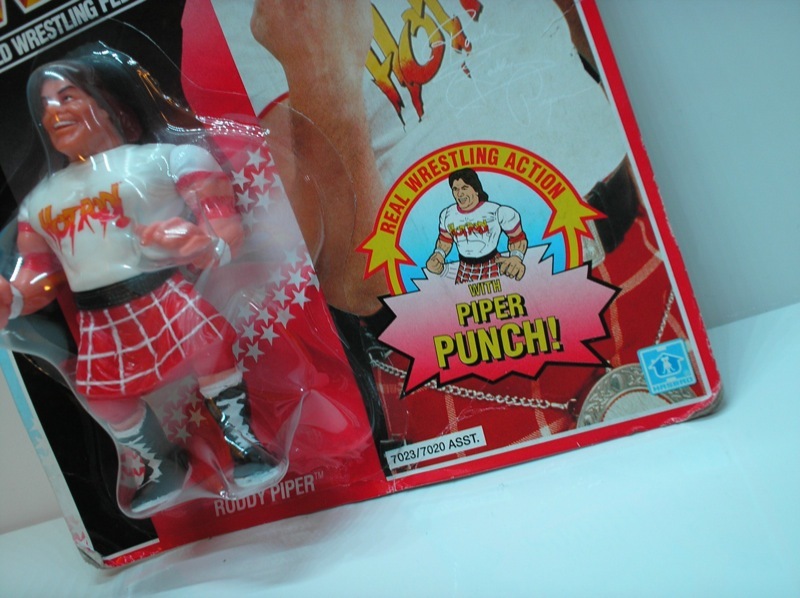 As you can see from the photographs, Roddy’s signature move is the “Piper Punch”. If you pull back his right arm and then release it, it will swing forward punching out any unlucky wrestler standing in his way! 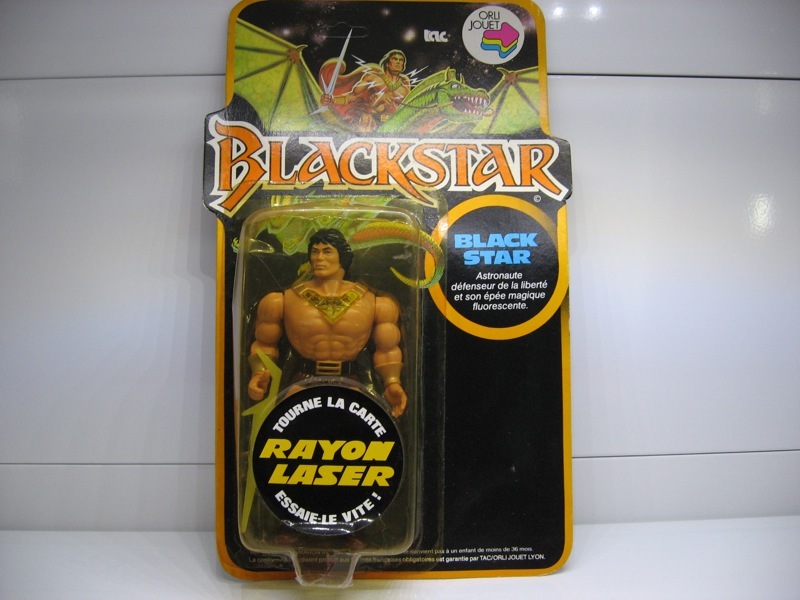 Judging by the sticker on the back of the card, this particular toy seems to have been released in the U.K. (“Distributed by Hasbro Bradley UK”). 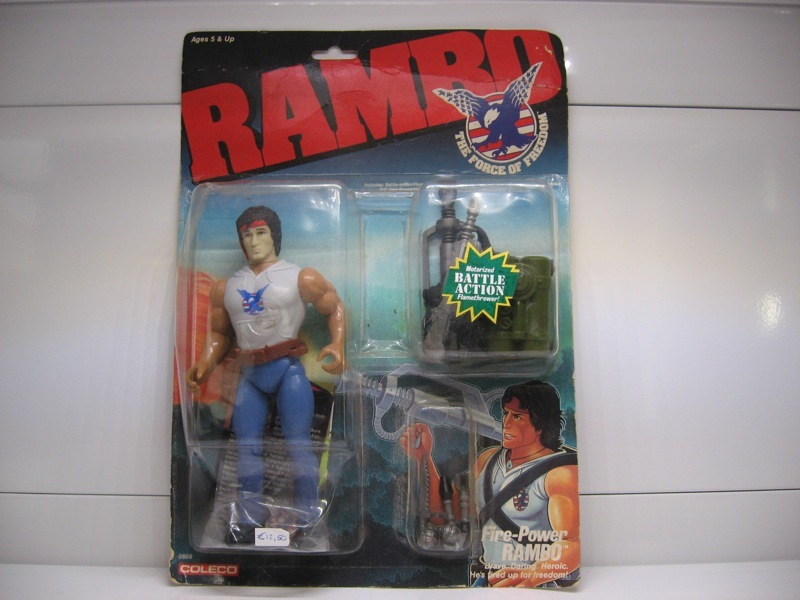 I initially suspected that this is simply the U.S. version of the toy with a sticker slapped on its back to qualify it as official Hasbro UK product, but it seems the U.S. version has a collector card inside, which this release doesn’t, so I’m not so sure anymore. What a nice find. I have a sneaking feeling that this won’t be the last WWF action figure I’ll add to my collection!